Available at Bookstore Tiedekirja. 45 euros. The custom of sacrificing animals on St. Martin’s Eve (November 10), or ‘spilling blood for St. Martin’, was known in a large part of Ireland until recently. This ritual offering has played an important role in the religious calendar of Christian communities in Western Europe for many centuries. Numerous authors over the last two hundred years have explored ideas about ancient pagan survivals being involved in the festival. Billy Mag Fhloinn addresses this situation, offering both an account and an analysis of the folk manifestation of the cult of St. Martin in the 19th and 20th centuries. 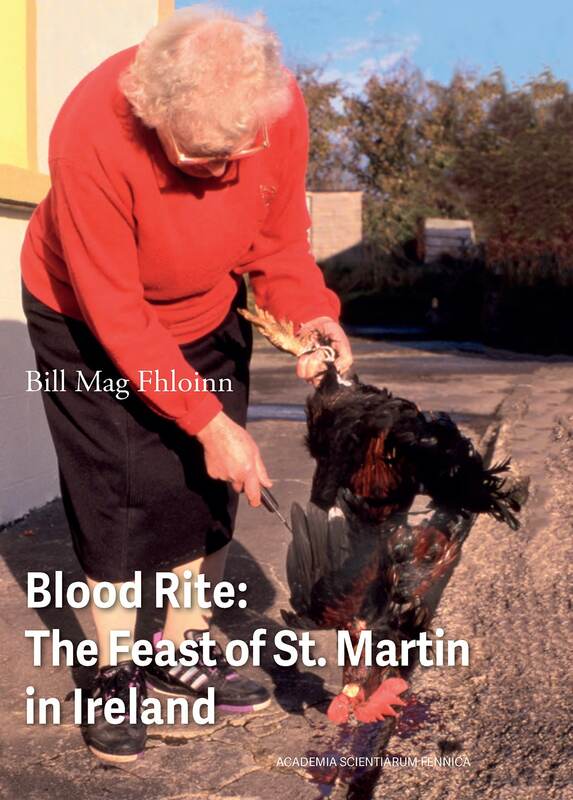 In Blood Rite: The Feast of St. Martin in Ireland, Mag Fhloinn presents theories on the origin, meaning and function of traditions and narratives associated with the cult, which has existed in Ireland since at least the seventh century. Bill Mag Fhloinn is an adjunct lecturer in Irish studies at the University of Limerick, and the Sacred Heart University Centre for Irish Cultural Studies. He was awarded a PhD in Irish Folklore from University College Dublin 2013. His area of research interest includes folk religion, ritual, and calendar customs.